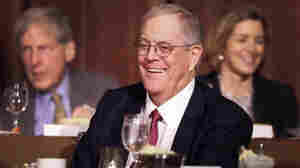 February 28, 2013  Conservative groups backed by wealthy industrialists David and Charles Koch spent millions but fared badly in the 2012 elections. Now they're assessing how they can get more for their money in 2014 and beyond. September 7, 2011  The reports by the liberal Mother Jones and Brad Blog about the Koch Brothers' private Vail meeting in June with scores of other members of the superwealthy class are reminders that, no matter how rich you are, you still don't have enough money apparently to accomplish all you'd like on your own. You still need help from other like-minded superwealthy. February 23, 2011  Walker told the prankster posing as billionaire David Koch that he considered putting troublemakers among the protesters but didn't because it might backfire in terms of public opinion.